Today, more and more people—yes, including men—are considering going under the knife. There’s really nothing wrong with this, as long you as you do your homework and be familiar with the possible risks of every procedure. Keep in mind that your safety should be on top of the list. So before you decide, here are a few reminders to keep you safe and well-informed. Choosing a qualified and reputable practitioner is the first big step, Dr Robert Beulink reminds. You can start looking for prospects online or ask for referrals from your friends or colleagues who have undergone the same procedure. Browse their website and check out the reviews about their services. It is advisable to know how long they have been practicing. In addition, you should also take note that each practitioner has his or her own expertise. So, find out which specific areas or procedures they specialise. This will help you narrow down your options. By simply visiting your prospect’s office or clinic, you would know if you’re really in good hands. Take some time to observe the facilities and equipment they have. From the initial consultation, they should provide you a wealth of information about the procedure you want. They should also inform you about the risks and recovery stage for every procedure. Take this time, as well to ask for a reference to know more about the quality of their services. Take a time out and do more research about the procedure. It is important that you understand the potential risks and dangers involved. 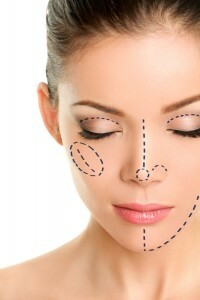 Consult someone who has undergone the same cosmetic surgery in NZ. You can sign up for online forums or watch videos to help you make an informed decision. Going under the knife is probably a life-changing experience for anyone. Always prioritise your safety, and do not go beyond your limits.